Should I use flyspray if I find termites in my home? We understand that this may be very tempting to do, but we advise all of our clients not to act on the termites they discover until a proper inspection is completed. If you disturb the termites can make it more difficult for our team to determine the extend of the infestation and the species of termite you have. However, if you have already disturbed the termites we can still tailor a solution for your problem. The important thing is to arrange an inspection as soon as possible to prevent further damage. Are white ants the same as termites? Yes, “white ants” is simply another term that was used by early European settlers. Termites, however, are not actually white nor are they a type of ant but a distant relative to cockroaches. If my home was built on a concrete slab can I still get termites? Yes. Termites are capable of penetrating concrete slab floors through small gaps like expansion joints and cracks or through service structures such as pipes, drains, electrics etc. Termites can also build structures that climb over the concrete slab and allow them access to your home. Do I have to worry about termites if I have a full brick home? Yes. Unfortunately the roof structure in a full brick home is supported by framing made from timber that termites can access to by traveling inside cavity walls. Some full brick homes also have suspended floors made from timber that can be severely damaged by termites. The time it takes to eliminate termites and prevent them from coming back depends on the method or methods of treatment used. In most cases, termite removal will take a few days, but in some cases it will requires more. The important part is that a treatment is put in place as soon as possible so that no further damage occurs. Can you treat my property if I have asthma and allergies to strong odours? Absolutely. Many of our clients have sensitivities to strong smells or are asthmatic. We only use odourless pest treatment products and we will ask you to vacate the premises for about an hour following treatment application. If your asthma is quite severe, we may request you remain outside the premises for longer. Our low-odour and low toxicity treatments mean that you do not need to worry about pests regardless of your asthma or allergies. Will the pest control products you use hurt my children, pets or affect my pregnancy? No. 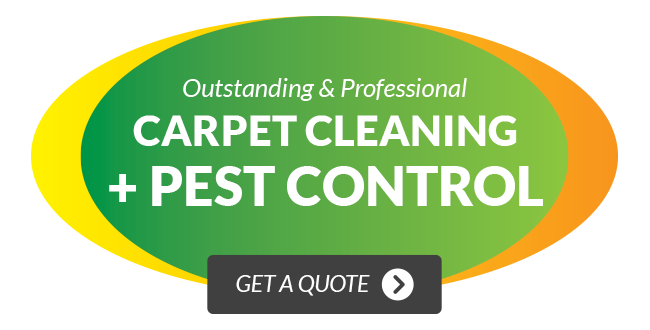 Wallaby Pest Control and Carpet Cleaning always assess your individual circumstances and use only the very safest and environmentally friendly products. Our products are licensed and sourced from trusted industry suppliers. We will still take precautions if you are pregnant or have small children (under the age of 4) to eliminate any chances of an allergic response to our products. We ask that you are absent from the premises for the duration of the treatment application and for an additional 4 hours afterwards. If you have pets we ask that they be kept from the treated surfaces until they are dry, usually this takes only 30 minutes. Are any of your pest control products dangerous? All the pest and termite control products we use are rigorously tested and approved by the Australian Pesticides and Veterinary Medicines Authority in Canberra. In some instances, these materials are not even labeled as poisons as they have no observable negative effect on humans. Many of the treatment options that we use, for example termite baiting, completely avoid the application of liquid soil barrier control agents (which are considered poisonous). Once there is an established colony, termites are a year-round problem. Although, there is an increase in colony growth activity during warm weather. My next-door neighbour has termites and will need to have his house treated. Will the termites attack my house next? Termites move randomly through the soil searching for a source of food (wood) so they don’t actually know where your house is. If your next-door neighbour treats his home for termites, your house isn’t automatically next for an infestation. Your house does not need to be treated; but we recommend that you your home inspected. How long do termites take to do serious damage? Termites damage wood quite slowly; the amount of damage caused by an extra day, week, or month is fairly is insignificant however it is common for a termite infestation to go un-detected for a long time. Prevention dosing the perimeter of your home along with a monitoring program offers the best protection. What is “pre-treatment”? How is this different from “treatment”? Pre-treatment is when the soil under a structure is treated for termites before cement floors are poured in place. Treatment after the cement flooring is in place requires drilling. What is the best termite treatment available? Most termite chemical treatments available and applied by reputable termite control companies are effective. The most common reason that a termite treatment fails is when the application is not reapplied annually. I use firewood to heat my home and I’m worried about bringing in termites. Is there something that I can safely spray on my firewood before I bring it into the house? You don’t need to worry about bringing termites into your home. Subterranean termites live in the ground and not within wood. Any termites trapped in the wood will not be able to survive because they won’t be able to reproduce without the queen. However, we don’t recommend that you store firewood inside because ants and beetles may come in with the wood. Do I need to empty my kitchen cupboards for you to apply cockroach treatments? Emptying cupboards is not necessary as we apply a gel to areas where cockroaches nest or harbour. No liquid sprays are used in these areas. Will any of the pest control treatments you use harm my dog or cat? No. There is no need to be concerned for any pets during treatment due to the very small amount of active constituent that they may take in. We do suggest that you remove or cover any pet food and/or water bowls simply for your peace of mind. We do require access to room edges so we can spray along skirtings. We ask that clothing, magazines, toys etc. be moved off the ground and food items should be cleared from benches/table tops. Will any pest control products you use stain my carpet? No. The products we use are water-based and do not contain any strong solvents which might affect colouring or finishes of carpets or furniture. Are your products safe for people? Yes, our products are completely family friendly and will not affect you. All our products are licensed with the Environmental Health Branch. What if I touch areas that have recently been treated? Sprayed areas are of some concern, but only while still wet. Once our treatments are dry they will not contaminate or harm you. Should you get in contact while it’s still wet though, wash with soap and plenty of water as soon as possible. Will the gel / paste treatments that are applied inside of cupboards contaminate food? No. The gel / paste is only applied to areas where insects congregate like cracks, crevices or hinges. Will I still see pests like cockroaches or ants after the treatment? It is possible that insects may wonder in from outside, but it is likely that they will have crossed treated areas and will die shortly after. At least once every year (12 months). Shorter intervals between treatments may be recommended, according to environment conditions. No, they’re not guaranteed, but a 12 month service warranty is given*. If the bugs come back, we will return and treat the problem again. Please contact us for more details on our warranty. Do I need to wash everything after a Pest Control treatment? No. There is no need to clean utensils or surfaces once the treatment is carried out. When is it best to do the pest control if I am planning a renovation? We suggest that the pest control is done after all renovations have been completed (including painting, carpet laying, landscaping and final clean up). One or two days prior to moving in is preferred. It’s best to do the pest control after carpets have been vacuumed or cleaned.